What Kind of Power Distribution Unit (PDU) is Right for You? 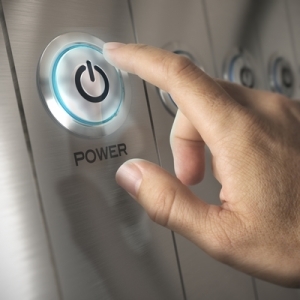 When it comes to data center design few things get more attention than power distribution. Power distribution units (PDUs) must be carefully selected for any data center based on power usage needs, anticipated future needs and what level of intelligence you would prefer from your PDU. Power distribution units can be quite simple and straightforward or they can be very sophisticated and intelligent with power metering, environmental monitoring within the data center and the ability to support very sophisticated and high powered systems. Downtime is crippling and costly so it is critical that extreme attention is paid to selecting just the right power distribution units for your data center. There are many kinds of PDUs available today including basic PDUs, metered PDUs, and switched PDUs. A basic PDU is exactly as it sounds, a reliable power distribution source that sends power to multiple pieces of equipment within a network application. While it may sound simple, it gets the job done and that is the most important thing. However, if you need something with some more features, such as metering, a metered PDU may be ideal. Metered PDUs still provide the same basic use but in addition it allows for better data center management because metering provides data center managers with information as to how much power is being used. This is important for growing data centers because it will give data center managers a heads up when power supply is may be insufficient. If power usage is going to exceed what the PDU is capable of data center managers will be able to remedy the problem ahead of time rather than potentially having to deal with downtime. And, for added convenience, switched PDUs provide the same benefits bas basic PDUs and metered PDUs with the addition of being able to turn PDUs on and off remotely. This is ideal for data center managers that oversee a large network of data centers. They can turn PDUs off remotely without having to travel to the data center itself, saving time and money. Also, smart or intelligent PDUs are similar to switched PDUs and are able to be managed remotely and from the web. The type and size of PDU you choose will depend heavily on what specific equipment you have and what your needs are. You may even deploy a variety of PDUs throughout your data center. Be sure to continually assess your data center to ensure that your PDUs are sufficient for your needs to avoid downtime. This entry was posted in Back-up Power Industry, Computer Room Design, data center equipment, Data Center Infrastructure Management, DCIM, Power Distribution Unit, Power Management, Uninterruptible Power Supply, UPS Maintenance and tagged Emergency Power Systems, Uninterruptible Power Supply, Uninterruptible Power Systems, UPS, UPS Batteries, UPS maintenance, UPS Systems. Bookmark the permalink.